If you have received a powerpoint or tiff file, there is no need to download them or look for software to open them. 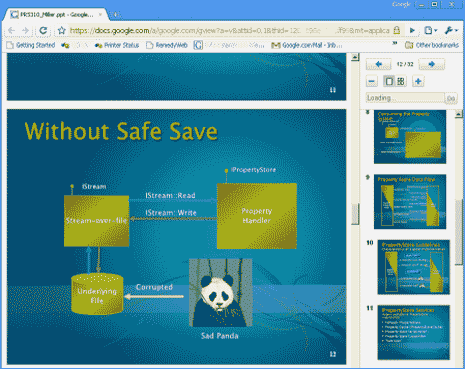 Gmail now supports previewing of powerpoint PPT and TIFF within its online viewer. You can easily preview all slides of a powerpoint presentation on the right side and see full slideshow on the main viewer window. The viewer has impressive features and you for sure won’t miss the default Microsoft Powerpoint viewer application while trying to preview powerpoint files within Gmail. It allows zoom in – out, select text to copy and paste and print the presentation to a PDF document. Even TIFF files opening, viewing and printing is now real easy within Gmail powered by Google Docs viewer. Gmail just loaded with two new features, tryout!